Intertextuality has been the unfailing tool for the recent literary and linguistic critics to yield complete and critical value of works of art these days. In this light, the critic enjoys examining cross-textual references and derives the aesthetics of both criticality and creativity. Worth saying, the postmodern as well as postcolonial novels are the best and enriched texts for this purpose. 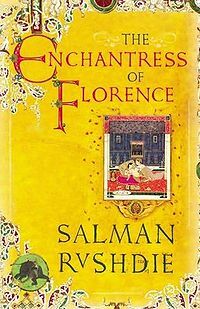 One such novel is Salman Rushdie's The Enchantress of Florence (2008). It narrates the visit of a mysterious stranger Mogor from Italy to the imperial capital of Akbar named Sikri. The trickster-traveler is fluent in many tongues yet apparently homeless. However, he could put Akbar into disillusionment in different ways. Rushdie succeeds in recreating a New World by assimilating history of the East and the West. The fantasy, romantic and artistic notions, the narrative technique, the magic and realistic elements and linguistic carnival in the novel can be better analyzed by bringing forth a study through reader-centric and text-centric approaches. The article presents an evaluation of Salman Rushdie's the Best of Booker prize winning novel The Enchantress of Florence (2008).We take intertextuality as the supportive parameter for the evaluation of the text. The term intertextuality is popularized by Julia Kristeva in 1960s. It is used to signify the number of ways in which one literary citation and allusion is linked to the other in natural and creative cross-textual ways both at factual, formal and functional levels. Thus, it results in interweaving solidity of multiple meanings by interpretation of texts as potential relatively interconnected signs (Kristeva, 1980 and Culler, 1981). The Anglo-Indian novelist was born in Mumbai on 19 June 1947. His paternal grandfather is an Urdu poet, and father is a Cambridge-educated businessman. He completed his schooling both in Bombay and at Rugby in England. He studied History at King's College, Cambridge, where he joined the Cambridge footlights theatre company. After graduating, he lived with his family who had moved to Pakistan in 1964 and worked for some time in television before returning to England and beginning to work as a copywriter for an advertising agency. He was greatly burdened by experiencing war between India and Pakistan and political and social tensions between Hindus and Muslims. These events also influenced him a lot. Gradually, he emerged as one of the most efficient and widely read writers of our time. His writings include novels like Grimus (1975), Midnight's Children (1981), Shame (1983), The Jaguar Smile (1987), The Satanic Verses (1988), The Moor's Last Sigh (1995), The Ground Beneath Her Feet (1999), Fury (2001) Shalimar the Clown (2005), and The Enchantress of Florence (2008) . He has collection of stories entitled Haroun and the Sea of Stories (1990), Critical writings like Imaginary Homelands: Essays and Criticism (1981-1991) and non-fictional collection like Step across This Line (1992-2002). He is not only a novelist or storywriter but also a travel writer, who has written The Jaguar Smile: A Nicaraguan Journey (1987). He is a screenwriter and has written The Wizard of Oz (1992). The Enchantress of Florence reveals Rushdie's excellent creativity and narrative engineering. It represents a turn from present to past, from politics to poetics. The novel gives us an account of the visit of a stranger to the Mughal emperor Akbar's court and his claim that that he is a long relative of Akbar, born of an exiled princess and Italian from Florence. It is a historical romance reflecting the mutual suspicion and mistrust between the East and the West. The reader-centric approach gives us a critical idea about the theme and its ethical, mythical, social, neohistorical, religious, cultural, psychoanalytical aspects. In this light, it is found that the novel in fact refers to an imaginary time when both Queen Elizabeth and Emperor were ruling over in their respective kingdoms. It starts with an impressive description of the setting sun. The stranger comes all the way to Surat, an old city of India and rides a bullock-cart to reach Fatehpur Sikri to meet Akbar. As the cart goes on, he keeps himself standing on it. The cart-driver takes him to be a fool. But, later on, he admires his courage. He then gets down the cart and enjoys his stay in Caravanserai. He recollects his memory how he managed to land at Surat escaping from a Scottish pirate ship. Then, he crosses Burhanpur, Handia, Sironj, Narwar, Gwalior, and Agra to reach this new capital. The moment he rests, he dreams of many impossible and fanciful things.